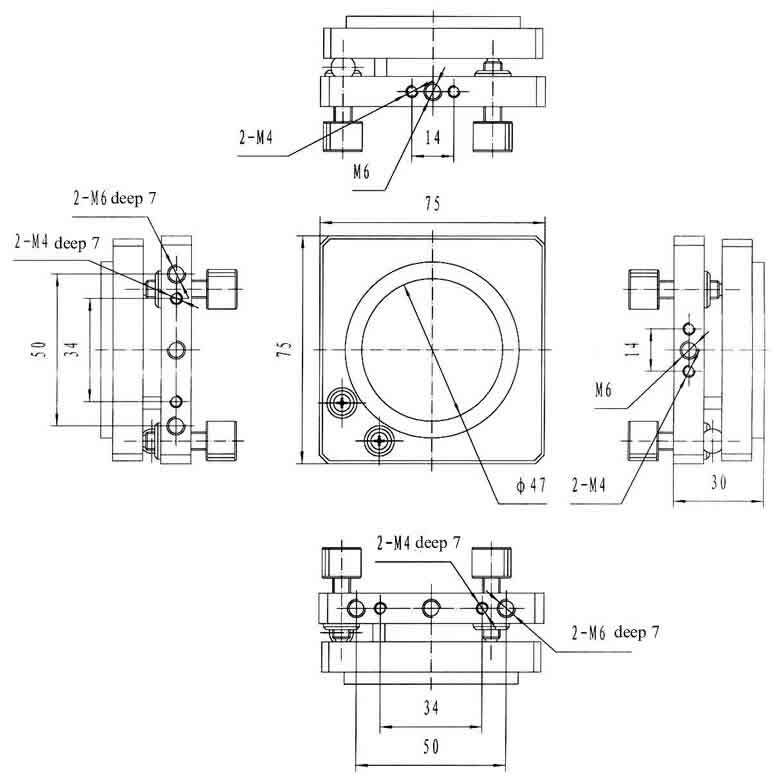 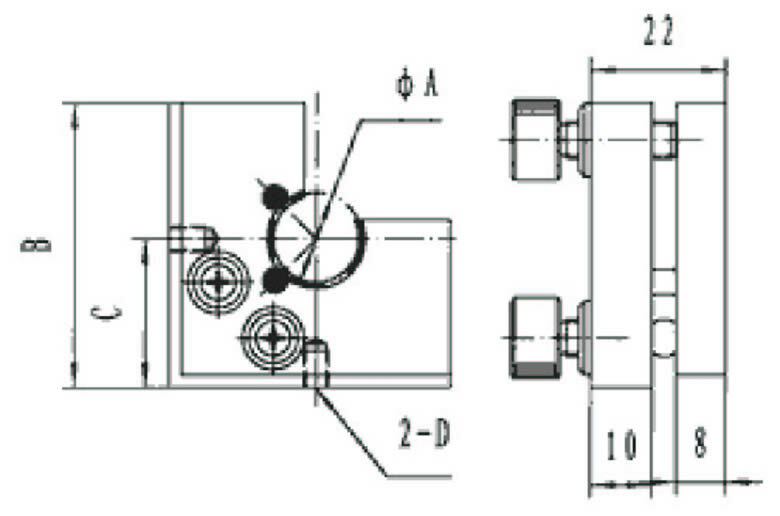 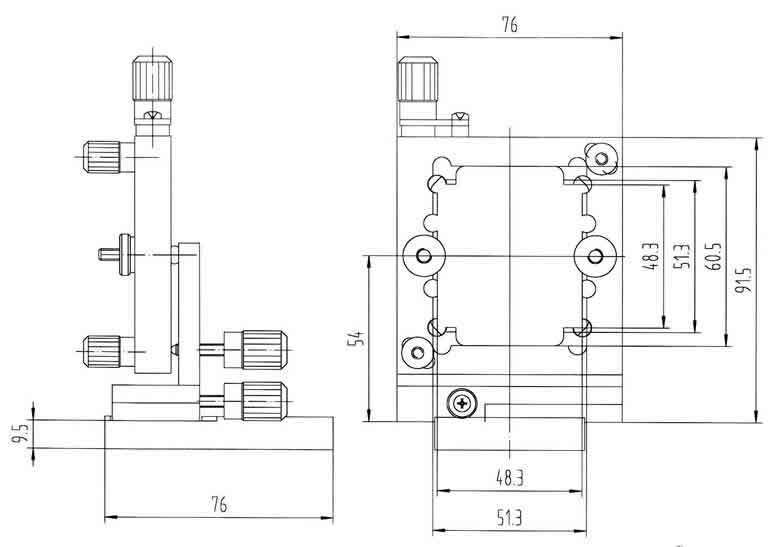 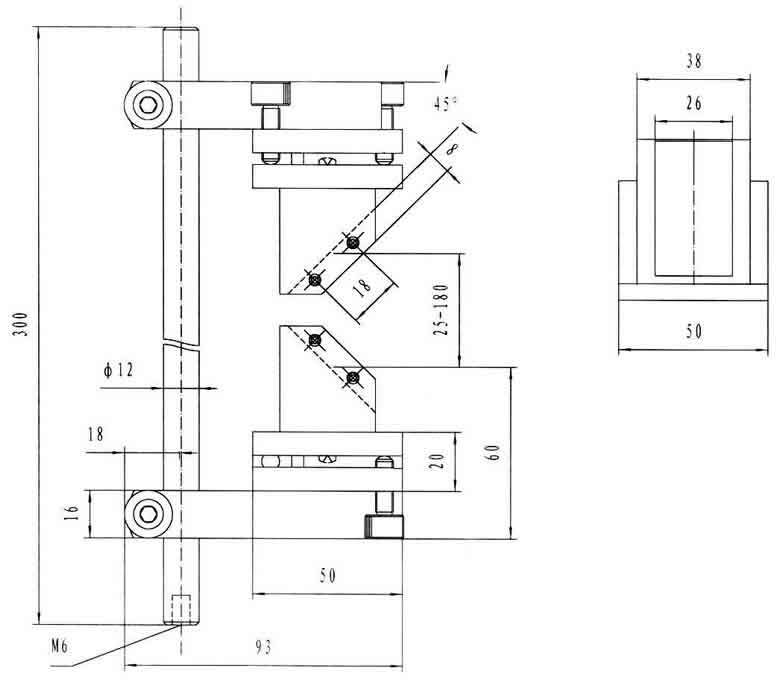 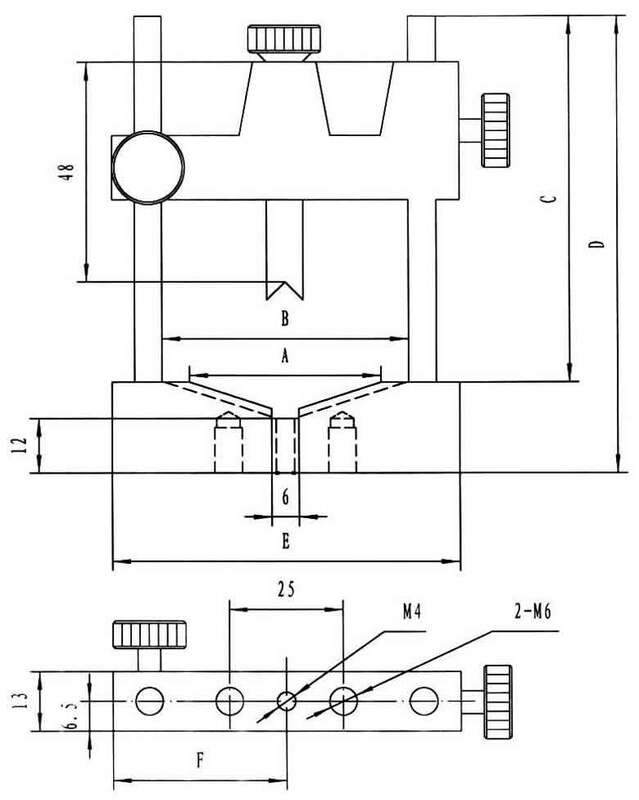 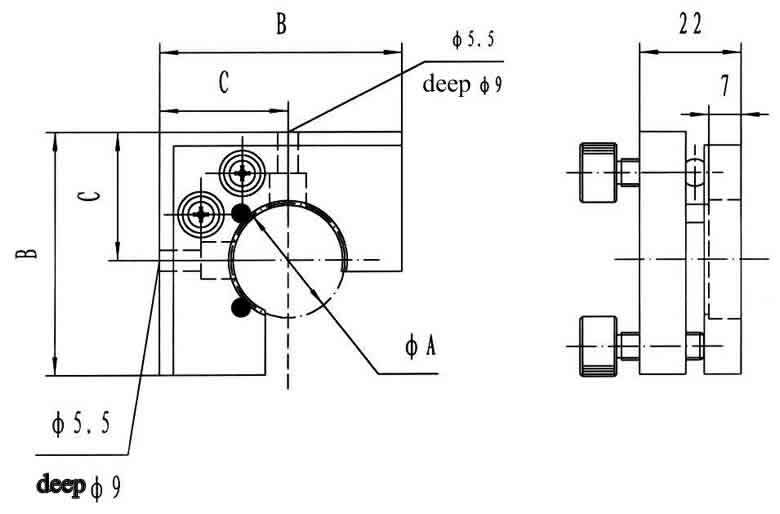 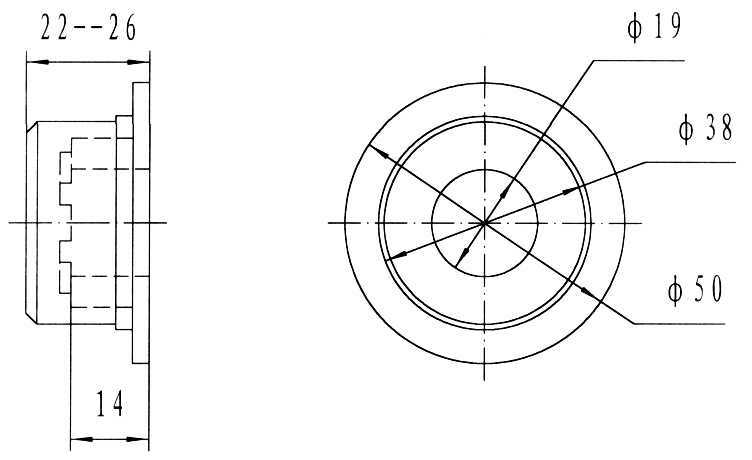 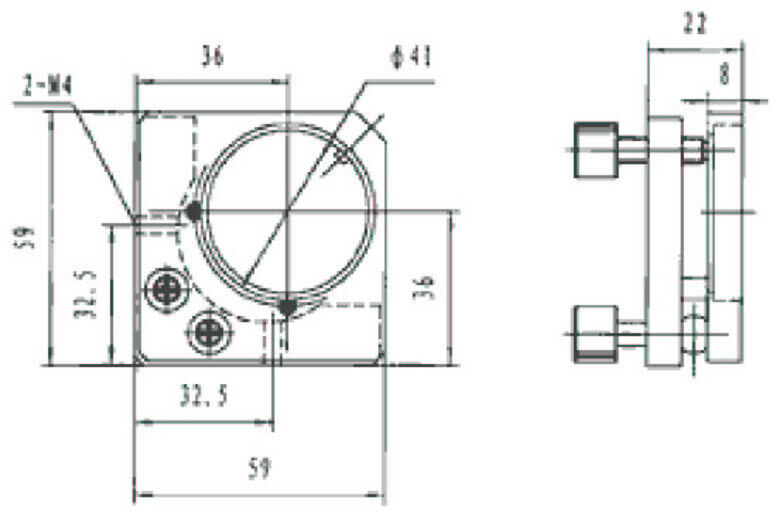 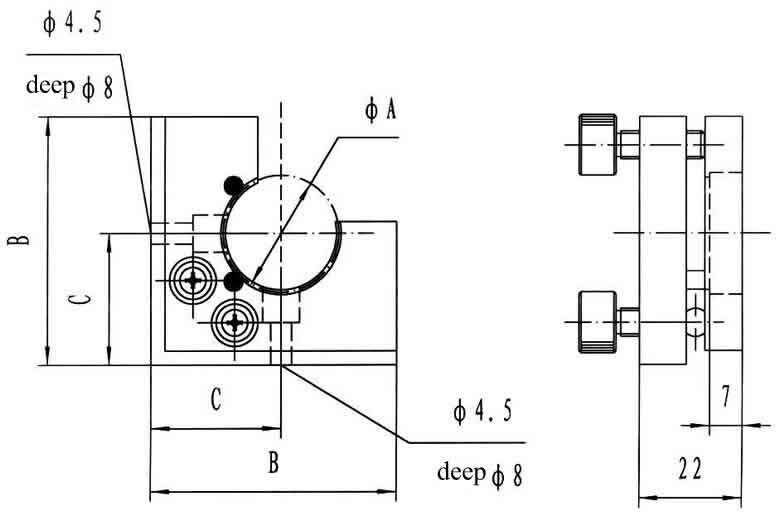 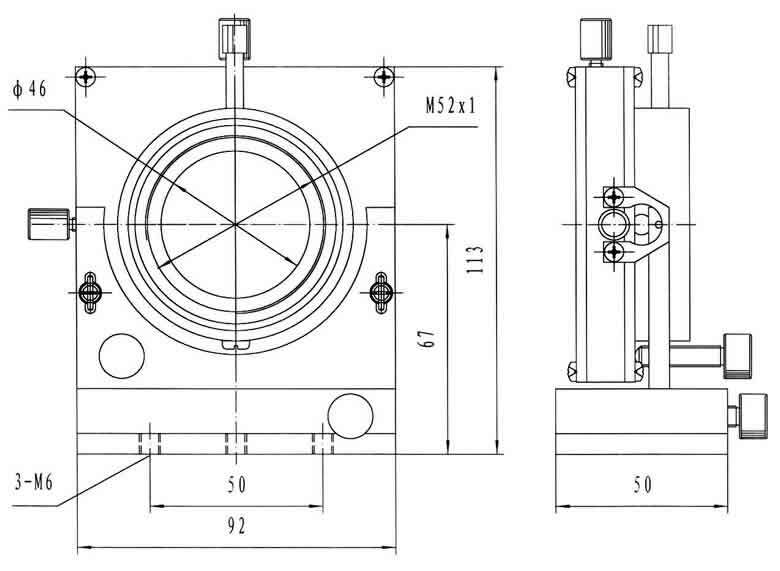 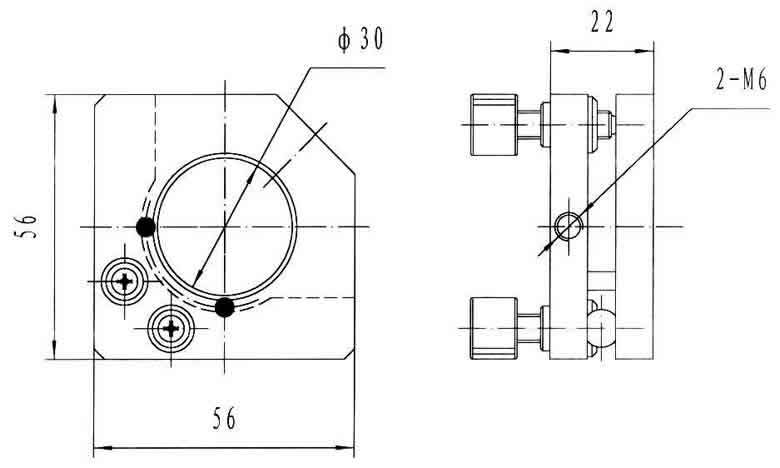 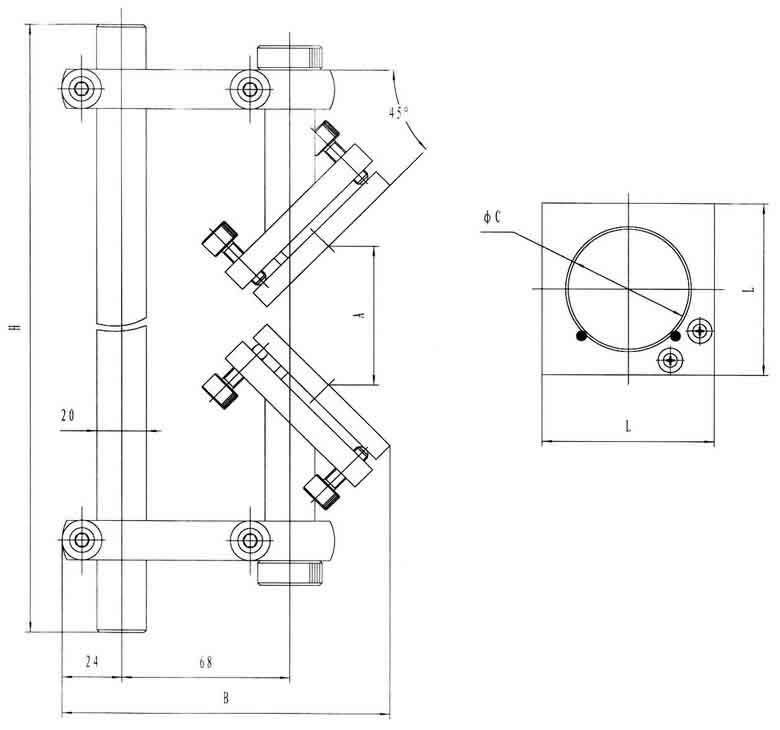 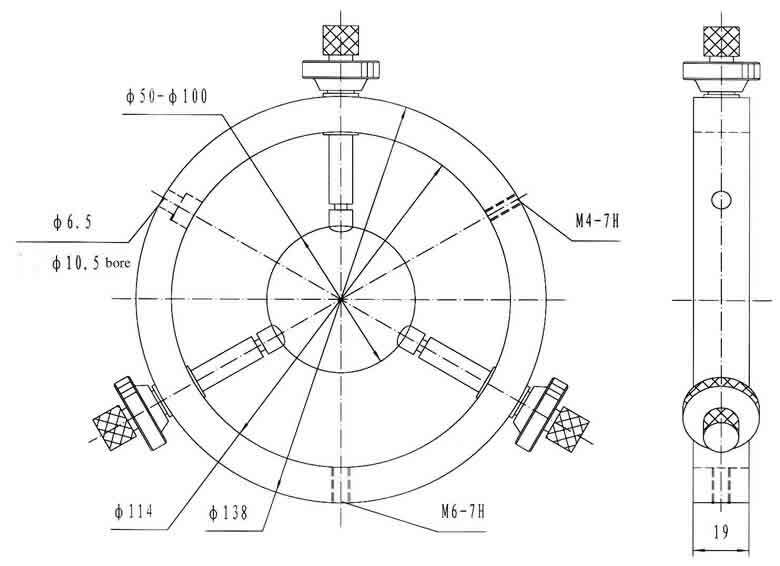 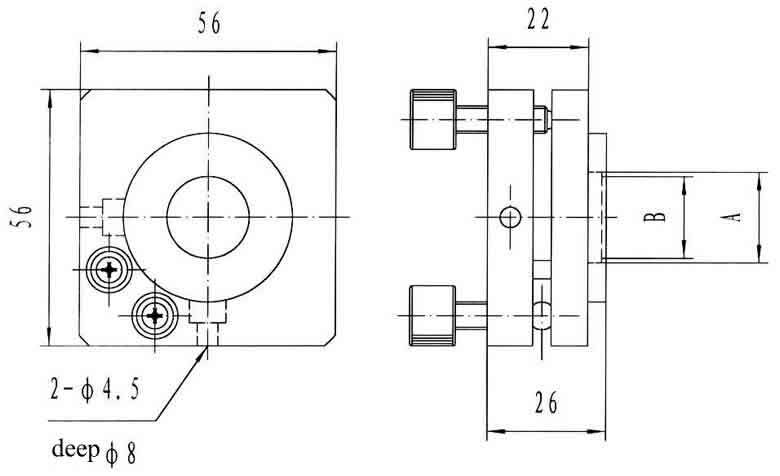 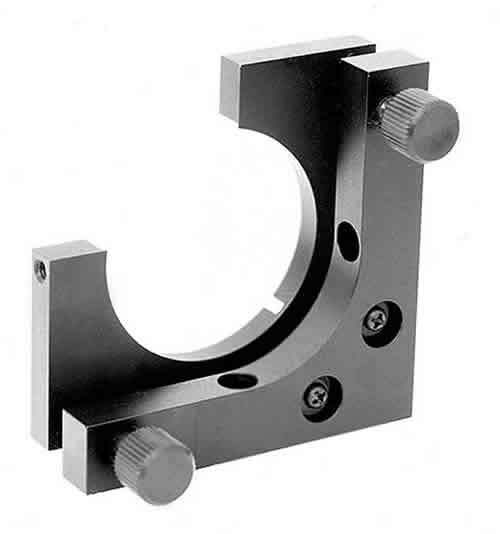 Beam steerers provide a very stable means to adjust the height and direction of a laser beam. 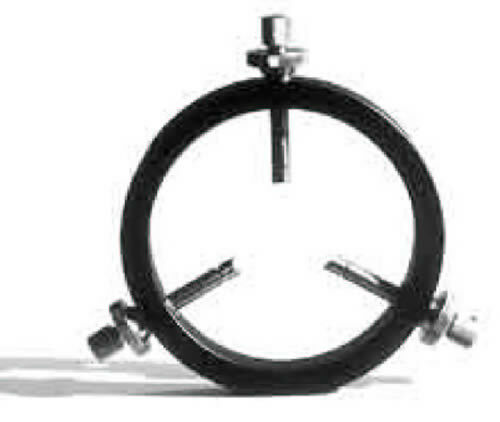 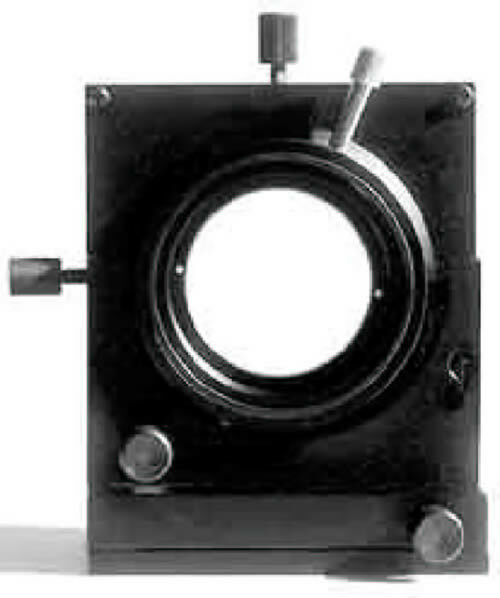 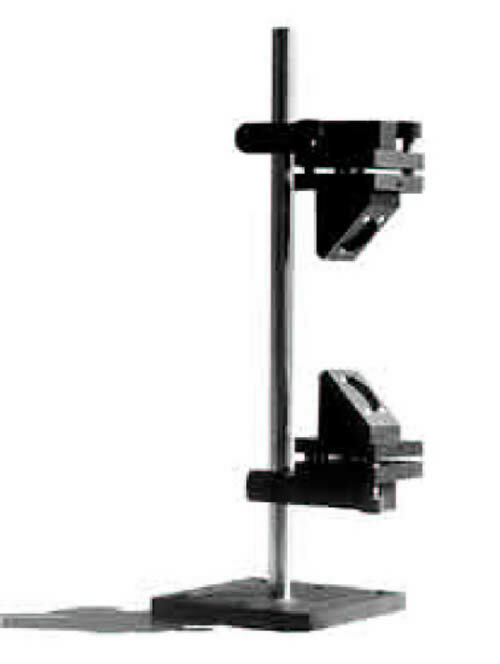 The bean steerer consists of a pair of precision flat mirrors mounted at 45 degrees facing each other on a post or a carrier. 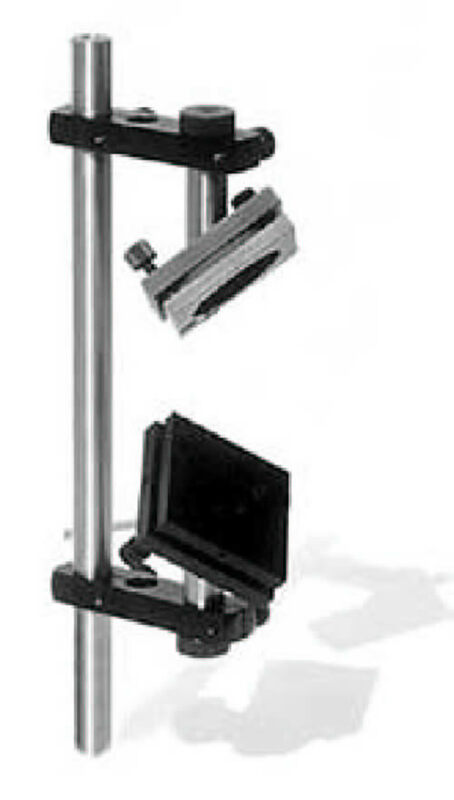 By adjusting the spacing between the mirrors and their rotation and tilt, the beam may be directed as desired. 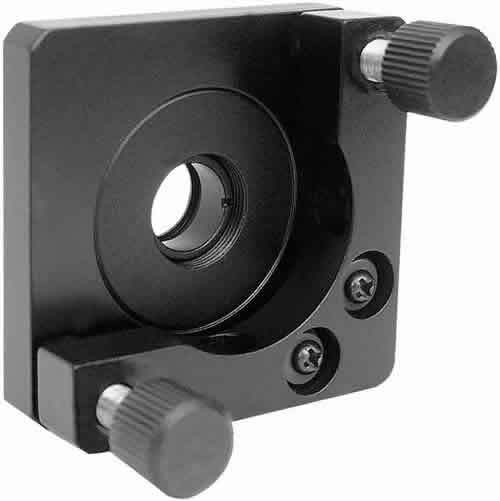 Adjustable lens holders provide quick and easy placement and removal of lenses without changing holder position. 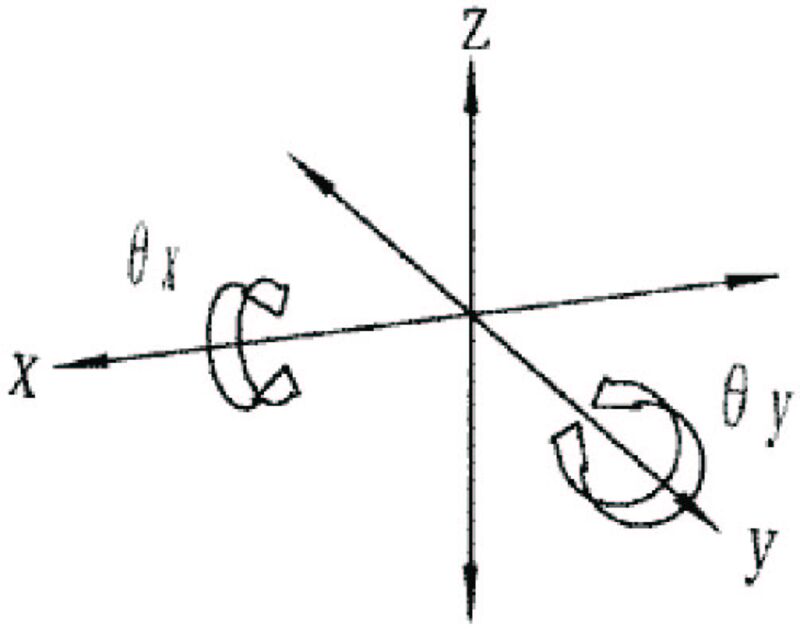 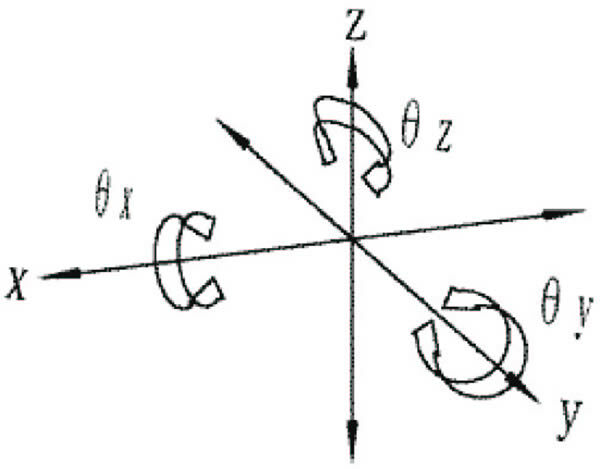 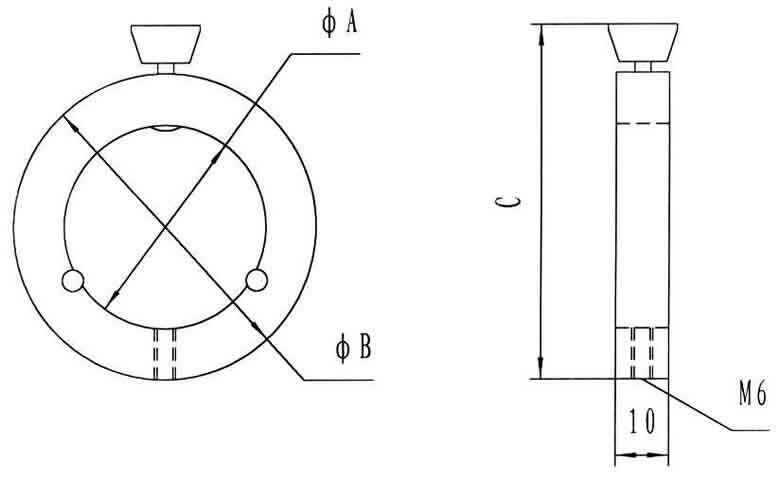 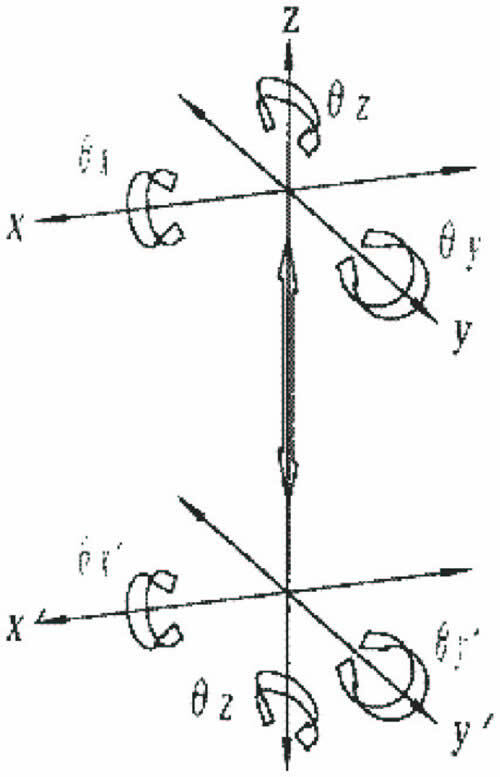 The lens is retained between two crossed V-groves for vertical and horizontal centering. 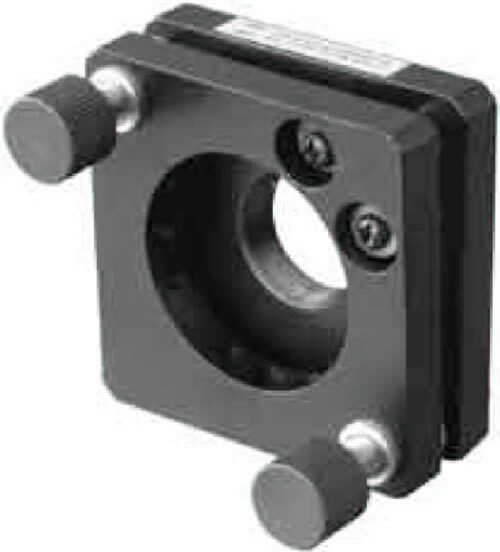 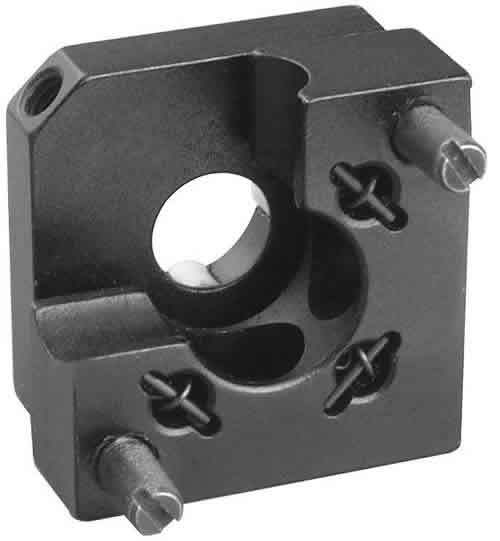 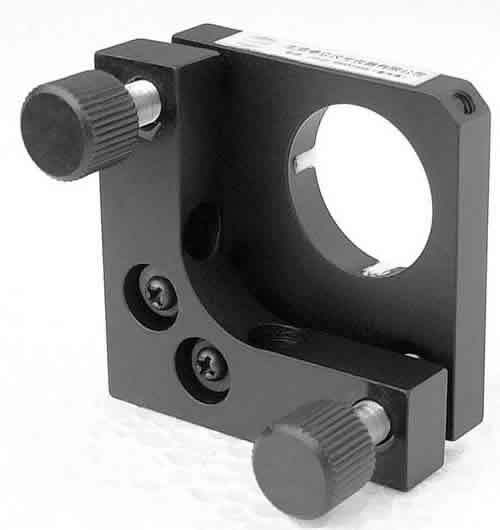 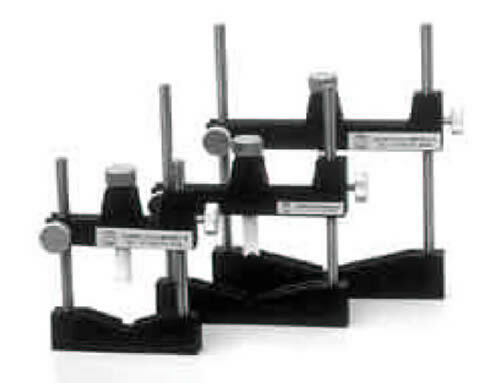 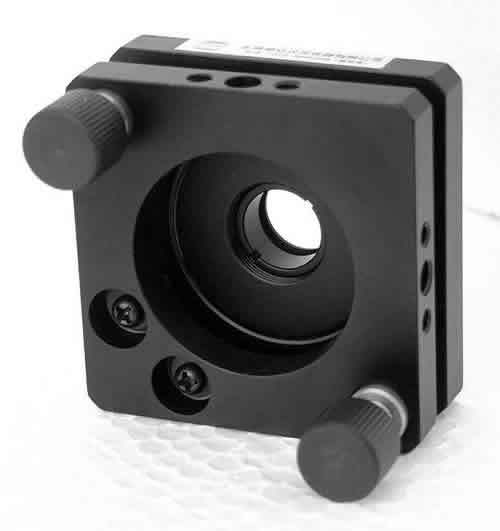 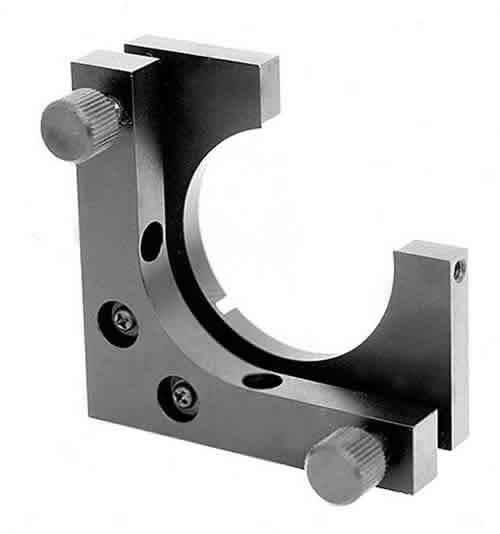 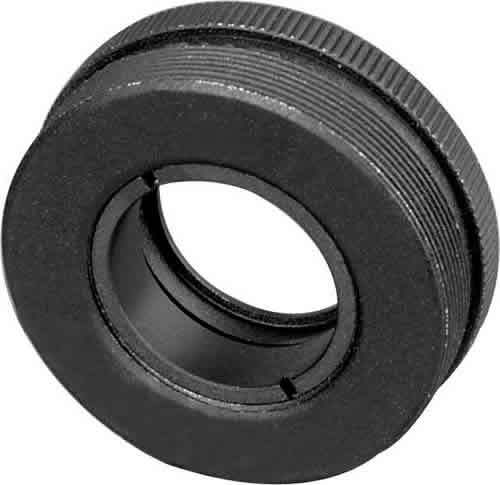 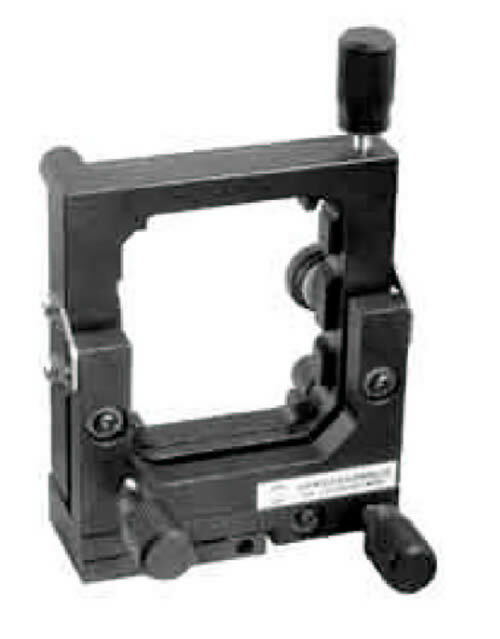 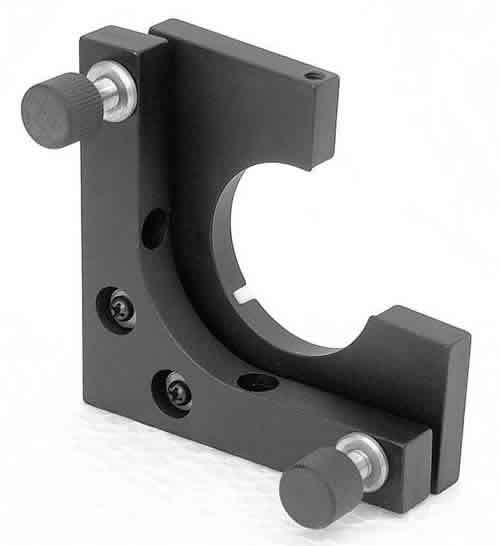 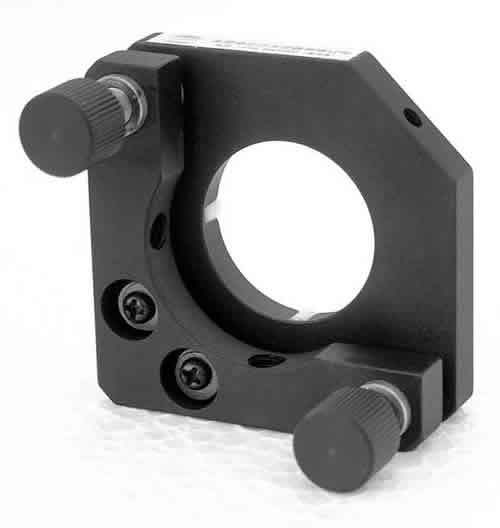 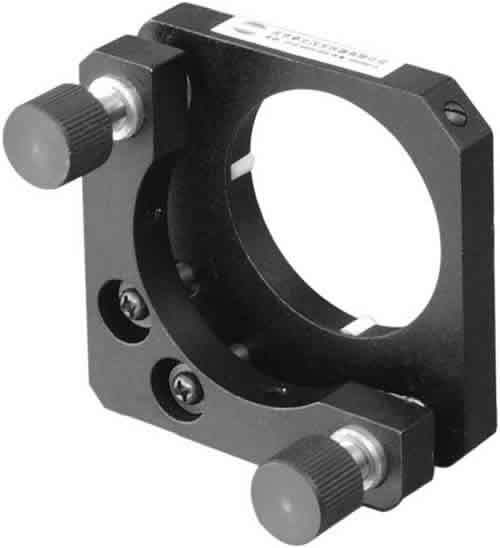 These holders are used to mount and rotate polarizers or cylindrical lenses. 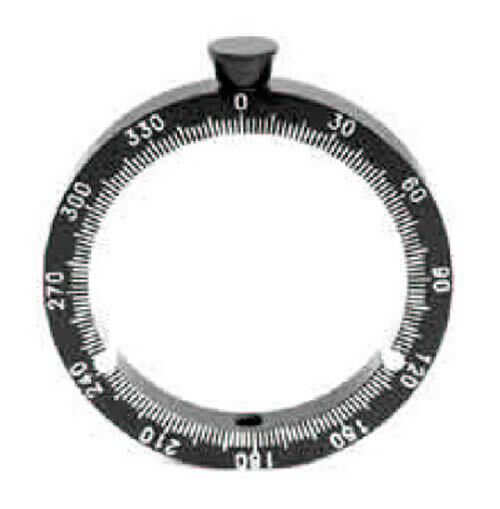 They can be rotated from 0 to 360 degrees. 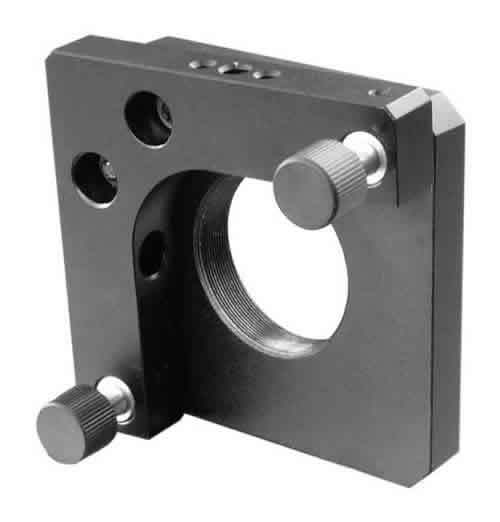 Used to hold cylindrical lenses. 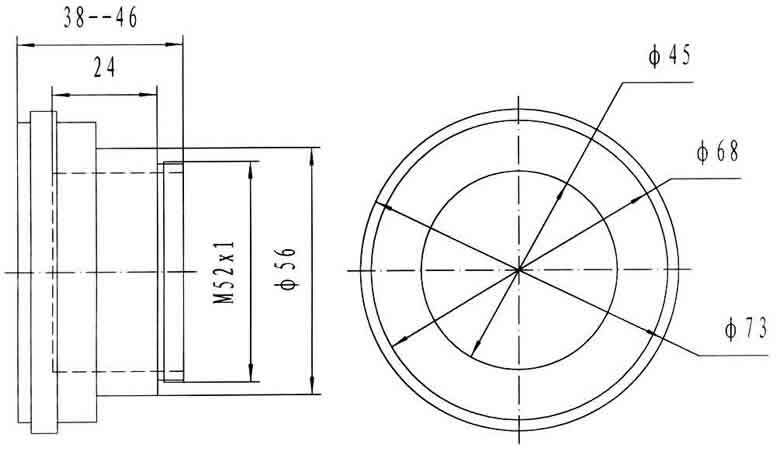 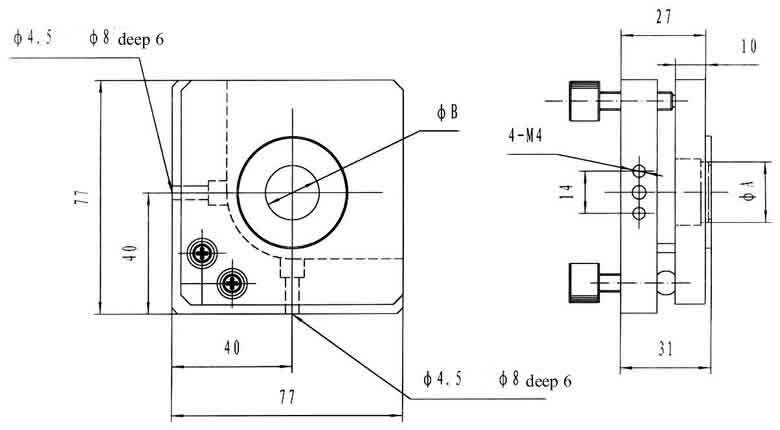 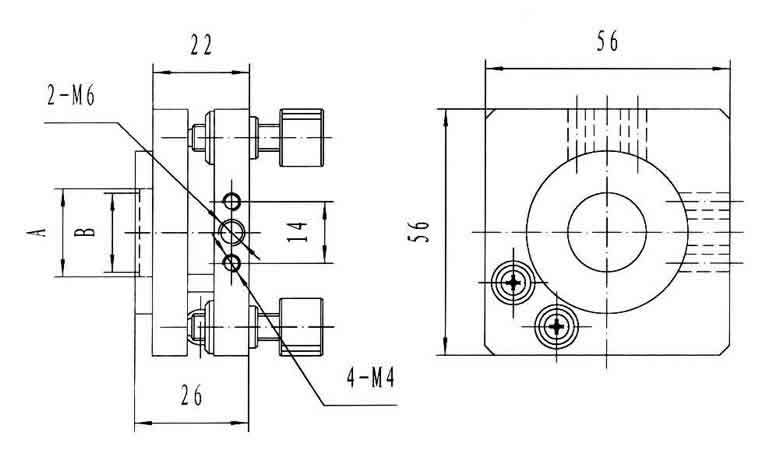 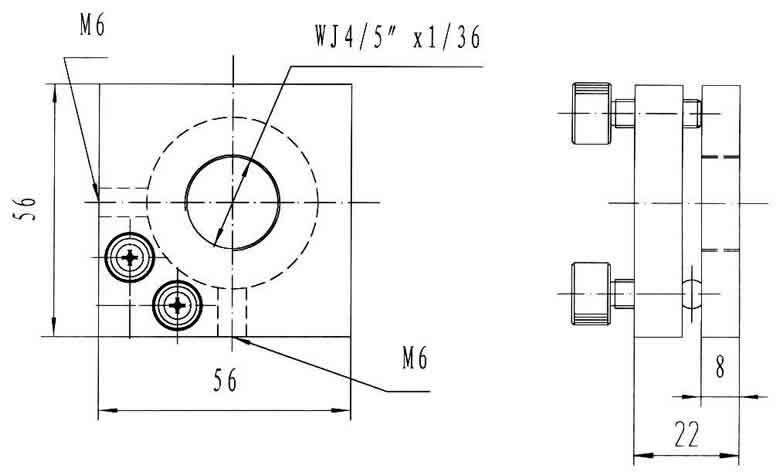 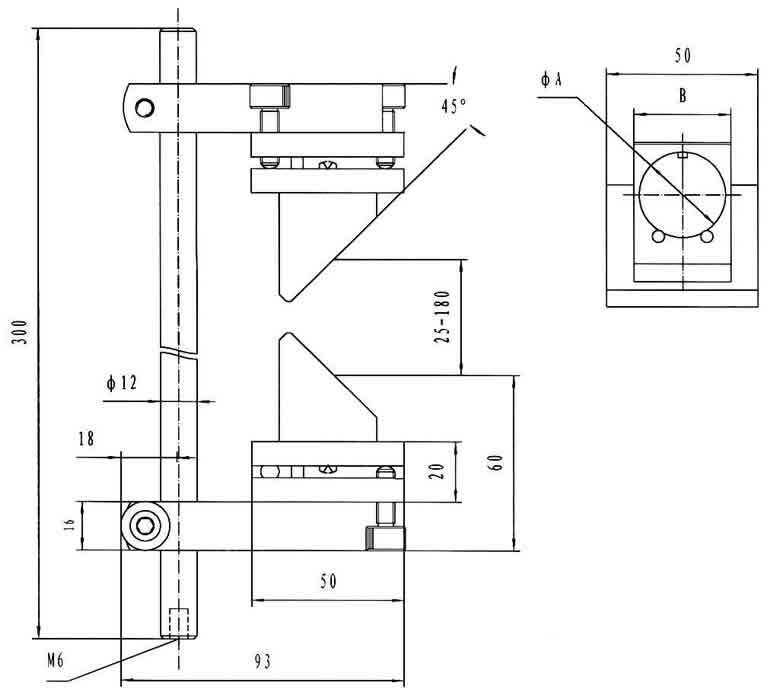 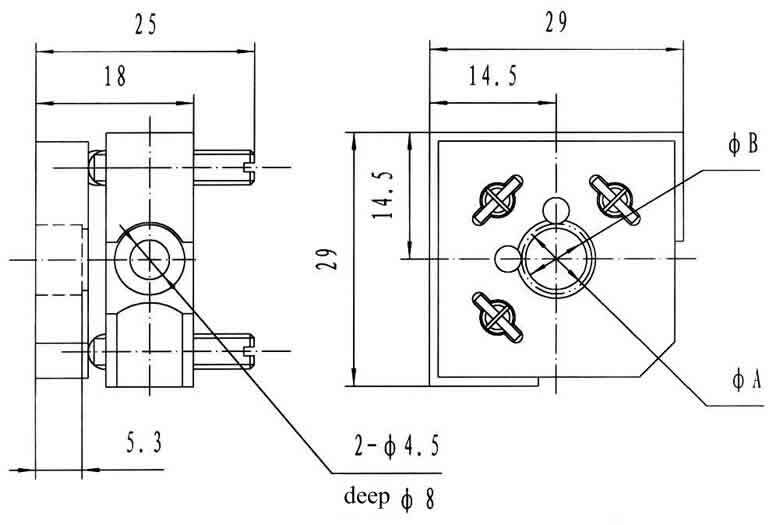 There is a central screw WJ4/5” - 1/36” for fixing objective lens. 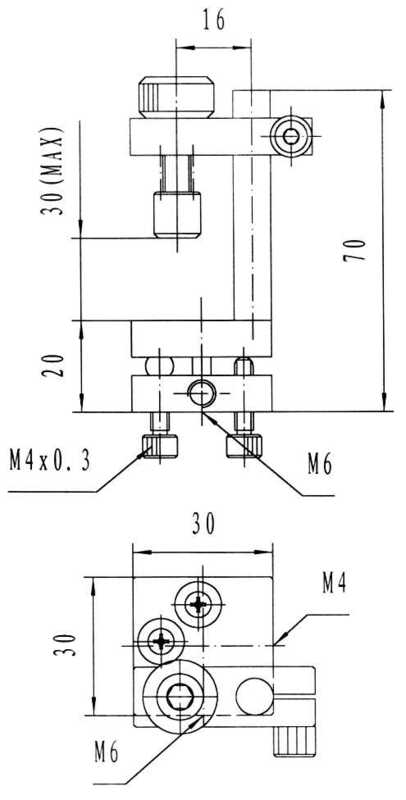 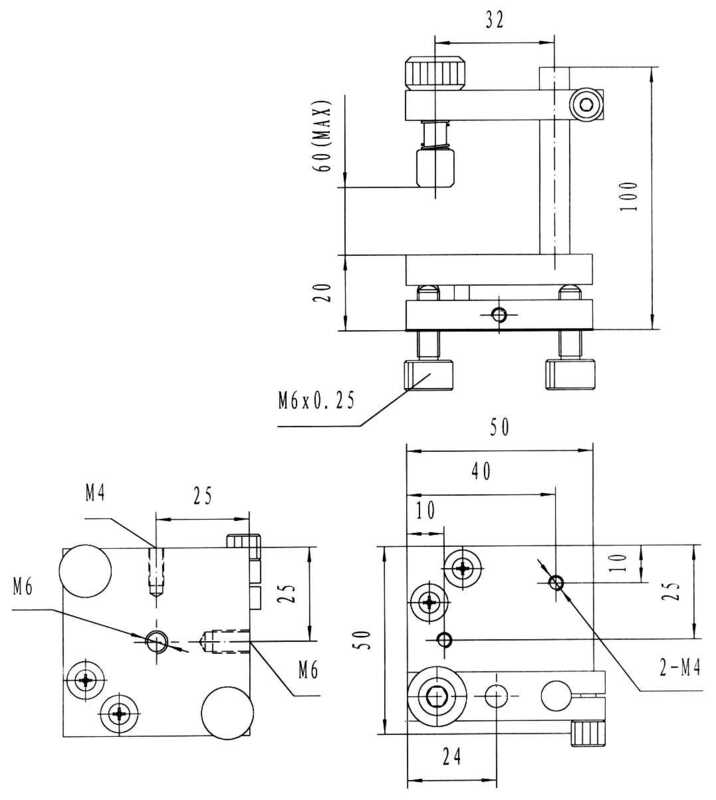 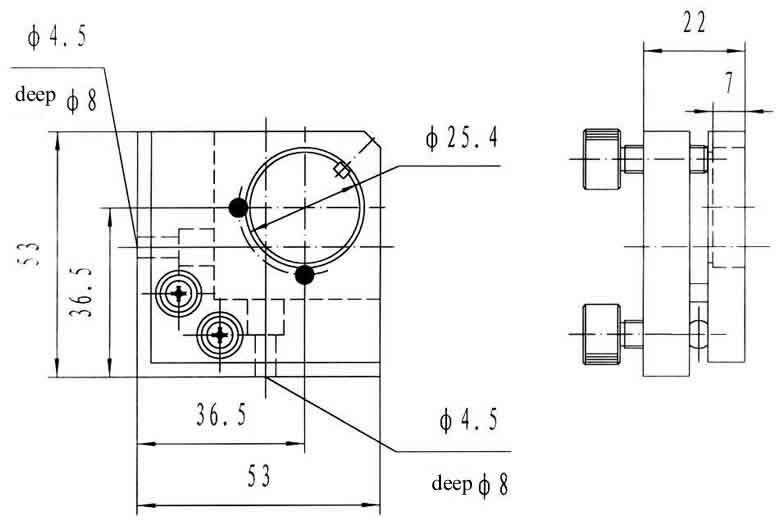 There are two precision screws M6x0.25mm for adjustment. 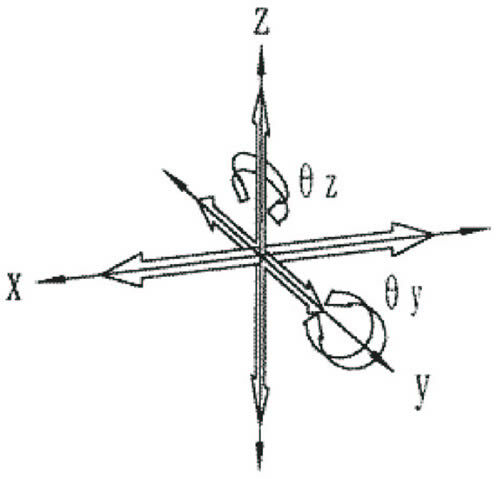 The mount provides 3 travels along X, Y and Z directions and 2 rotations along qy and qz directions.